Last weekend was spent in Bali for our company's 20th anniversary. It was indeed summer, the sun is shining with very pleasant skies. In this post, I would like to share some of the photos I have taken during that 4 nights trip. There was quite a lot of free time which I enjoyed the most, plus I drank wine almost every night. 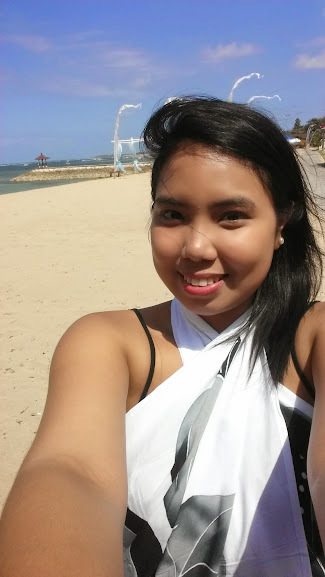 We stayed in Grand Aston in Bali located in Nusa Dua which I would say is a good value hotel. Food though is OK, not bad. There you go for my fat face! This was taken on the last day of the trip so yes, I'm feeling fresh and good! I think this was just after my spa session in the hotel. I had a coffee scrub + massage for 1 hour and 45 mins. It's a nice experience I would say, although being covered with coffee then later on, banana leaves is rather uncomfortable. Anyway, I finished with a flower bath so I couldn't complain at all! 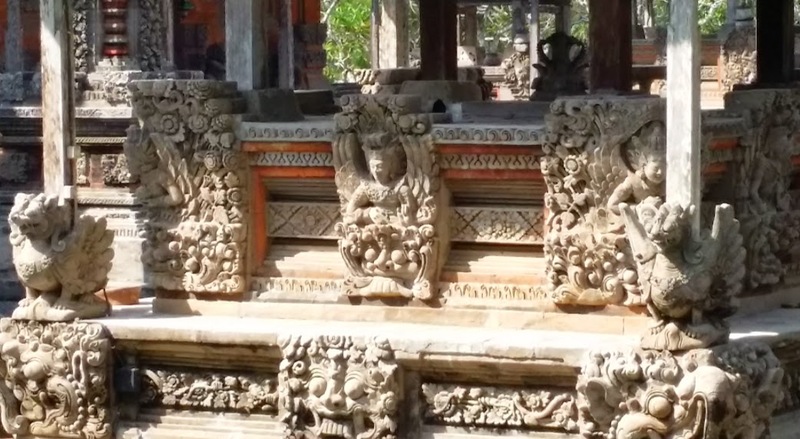 And here are pictures of the temples! 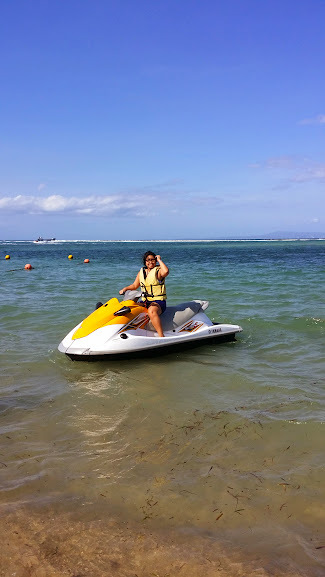 Of course, the water sports I have tried! Note: I parasail on my own for like 8 mins. or so, but I don't have the pictures yet.... shall post soon! I never thought I had that courage in me. I never thought jetskiing is that fun. I did it for 15 mins. but I wished I spent more time. Oh well, I had limited time and money so not this time. I could not ride a bike, nor could I drive, but damn, jetskiing is so damn easy! 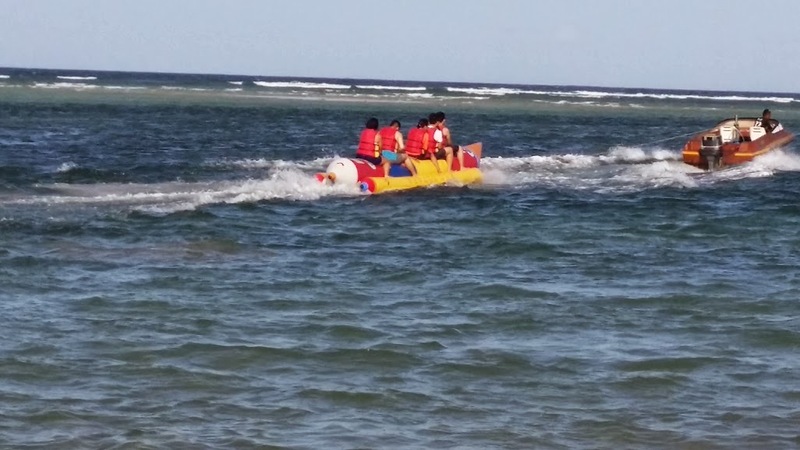 The funny thing was when I was trying ride the banana boat again, I was so heavy, I could not carry myself. The food that I enjoyed the most must be in Anantara, Seminyak where we did a hotel inspection. I know this is not a good travel blog post, but I hope the pictures I posted said enough of the fun that I had. Next trip will be Penang in two weeks and then Romania. Busy schedule, it is!